Artificial stimulation of osteogenesis and subsequent acceleration of the healing of fractures has always been an exciting prospect. Thus far, no direct method of control over the healing or growth of bone exists. 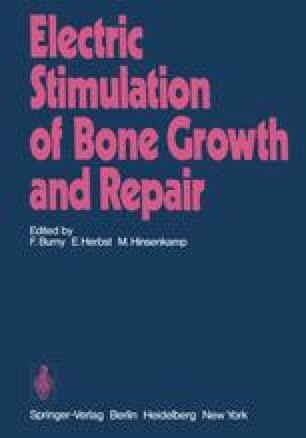 The concept of stimulating electrically the formation of new bone appears to be the logical consequence of the presence of physiologic electric currents in living bone. These currents represent a part of a control system that takes part in the growth and remodeling of bone and also on the healing of fractures.